These Causes of Car Accidents Are Common In The Bedford, Texas Area. In 2016, over 550,000 motor vehicle crashes occurred in Texas, causing nearly 4,000 deaths and over 17,000 serious injuries. While an accident can take place at any time and in any place, there are certain causes of Forth Worth car accidents that are more common than others. If you or someone you love has been hurt in a car accident, you need to seek the help of a Bedford personal injury attorney to get the compensation you deserve for your losses. What Causes Crashes in Texas? Speeding. Speeding is the leading cause of car accidents in Texas. Most drivers admit to exceeding the speed limit from time to time, but many don’t understand that moving at a higher rate of speed reduces the amount of time they have to react to and avoid problems that arise on the road. Distracted driving. The second leading cause of Texas car accidents is driver inattention. Drivers can be distracted for any number of reasons, including using their cell phones, sending and receiving text messages, adjusting the radio or even eating. Even a one-second lapse in focus on the driving environment can lead to serious injuries and fatalities. Examples of common injuries include brain injuries, spinal cord injuries, head injuries and broken bones. Drifting between lanes. When drivers sway in and out of lanes or drift over into other lanes accidentally, it causes an immediate and startled reaction from other drivers. Failure to yield while turning left. When a driver turns left across oncoming traffic, he needs to accurately judge the distance and the speed of the nearest oncoming car in order to avoid a collision. When someone does not properly execute this calculation, it can lead to a crash, and the person making the turn often gets the worst of the impact. Aggressive driving. Drivers who are in a hurry or are short-tempered with other drivers often drive aggressively. Speeding, tailgating, weaving in and out of traffic, running red lights, changing lanes without signaling and using headlights or brakes to “punish” other drivers are all examples of aggressive driving, according to the American Automobile Association (AAA). It is almost impossible for other drivers to predict such erratic behavior, and crashes are often a result of this kind of dangerous driving. Reckless driving. Often characterized by excessive speed, reckless driving can also include careless and aggressive actions. When a reckless driver speeds or cuts off other drivers, he puts them at risk of a collision and life-changing injuries. Drowsy driving. Lack of sleep has a similar impact on drivers as drugs and alcohol. Tired drivers are less observant, have slower reaction times and risk falling asleep at the wheel and losing control of their cars. When drivers fail to get adequate sleep or continue to drive after feeling drowsy, they increase the chances of an accident. Drunk driving. Despite years of education and enforcement efforts, drunk driving continues to be a problem on America’s roads. Even drivers who have been drinking but are not legally drunk can experience a decrease in reaction time, which can lead to a crash. Drugged driving. More and more crashes are being caused by drivers who are impaired by drugs. Whether a driver has taken legal prescriptions or illicit narcotics, drugs can impair his ability to make rational decisions and follow the rules of the road. Complicated roadways. The growing congestion in the Dallas/Fort Worth area over the years has led to the creation of some complicated and intimidating roadways. The “Mixmaster” in downtown Fort Worth and the High Five interchange in Dallas can make even the most experienced driver nervous. When drivers new to the area hit these roadways, their confusion and fear can cause accidents. Elderly drivers. As people age, they may experience decreased muscle tone, vision loss, decreased flexibility and joint stiffness that can negatively impact the ability to drive safely. Many senior drivers resist giving up the freedom that driving allows them and continue to drive when they really shouldn’t. Although elderly drivers don’t drive as often or as many miles as younger people and don’t contribute to as many accidents, they can still pose a risk on the road. Teen drivers. Lack of experience, poor judgment and risk-taking are often factors in car accidents involving teens. 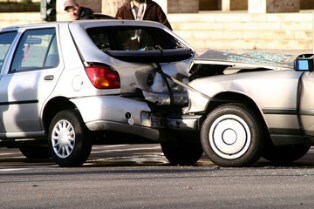 There are many causes of Texas car accidents, and the consequences of a crash can leave you needing legal assistance. If you or someone you love was hurt in a crash, you need to seek the help of our Fort Worth injury attorneys. Contact Parker Law Firm today to schedule your free strategy session. We work with injured individuals in Bedford, Arlington, and Euless. If you need guidance, give us a call today.